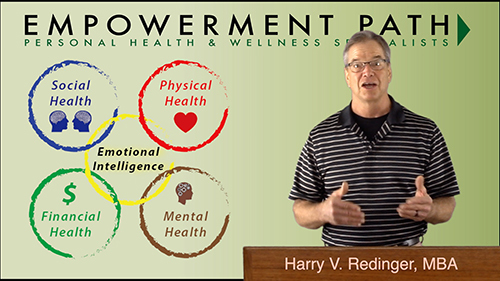 Harry Redinger is a master corporate trainer who specializes in a new form of health management called Emotional Intelligence Health and Wellness. Emotional Intelligence is the something within each of us that is a bit intangible, yet it affects how we manage our behavior, navigate social complexities, and make personal decisions to achieve positive results. Emotional Intelligence regulates our ability to maintain our Psychical Health, Social Health, Mental Health, and Financial Health. 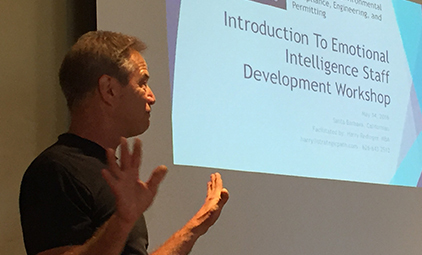 Harry Redinger has over three decades experience engaging all four categories of health and is now promoting a comprehensive Emotional Intelligence approach to these categories of health called the Strategic Path Process®. Harry Redinger is a Certified Corporate Wellness Specialist by the Corporate Health and Wellness Association, validating his passion to motivate organizations to assess the health interventions needs for management and staff to transform into living lifestyles of health. 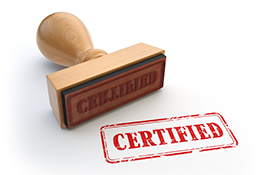 The Strategic Path Process® integrates into the traditional approach to a Corporate Health and Wellness Program, training in the areas of Psychological Type Teambuilding and Emotional Intelligence to promote a rational approach to one’s Physical Health, Social Health, Mental Health, and Financial Health. Harry Redinger is the first to make this connection between Emotional Intelligence and Health management. Master of Psychological Type and Emotional Intelligence Assessments: Since 1985, Harry Redinger has had a fascination with behavioral psychology which has led him to becoming a Certified Master Practitioner of the Myers-Briggs Type Indicator (Psychological Type Assessment), a Certified Practitioner of the California Psychological Inventory 260 (Workplace Behavior Assessment), the Strong Interest Inventory (Career Path Interest Assessment), and EQi 2.0 (Emotional Intelligence Assessment). Each of these assessments have played a roll in the evolution and development of Psychological Type and Emotional Intelligence assessments. It’s through a working knowledge of all four of these assessments that Harry Redinger was able to make the logical connections between behavioral psychology and health, all four categories of health. Most in the profession of Health Management will agree that 20% of health is exercise and 80% of health is what you put in your mouth. What you put in your mouth is a rational vs. emotional decision thus the use of assessments to learn where each individual wants to focus their interventions. Video Conferencing: In many ways, technology (Social Networking) can separate us from having true Human-to-Human communication experiences. Harry Redinger has turned this barrier between us into a true Human-to-Human Audio and Visual bridge between us through Video Conferencing. 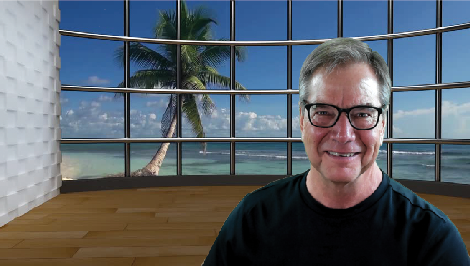 Harry Redinger works with a live video conferencing Program called Ecamm Live and Skype to connect with his clients. This is an important aspect of “About Us” because we are also advanced users of Adobe Photoshop, Illustrator, Dreamweaver, and InDesign. In addition, we are also advanced users of Final Cut Pro for all of our video editing. We embrace technology to maximize our ability to communicate with others. UCLA Extension: Harry Redinger recently complete a 24-year tenure at UCLA Extension where he taught Entrepreneurship and Business Plan Development course. Though UCLA Extension, Harry Redinger has lectured on these subjects at other major universities, Mexico, Thailand, and China. Harry Redinger is the author of the book, The Strategic Path, Business Plan Development for the Emerging Entrepreneur. Harry Redinger is a master at emotionally persuasive pubic speaking. Harry Redinger strives to influence his audiences to make changes to their lifestyle and life direction whenever has the opportunity. He is naturally enthusiastic and authentic. 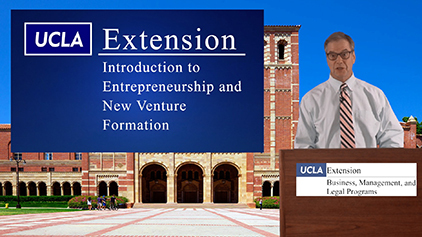 Harry Redinger has over 40 UCLA Extension Entrepreneurship Lecture videos posted on YouTube. Personal Health and Wellness: Harry Redinger also practices as a Personal Health and Wellness Specialist. www.EmpowermentPath.com The Empowerment Path Group specializes in a process call the Empowerment Path Process® which consist of five phases of program design, development, implementation, and management. The end result of this an Emotional Intelligence Health and Wellness Life Plan, which address all four categories of health. One’s Physical Health, Social Health, Mental Health, and Financial Health. The foundation of this process is the development of an Emotional Intelligence lifestyle. 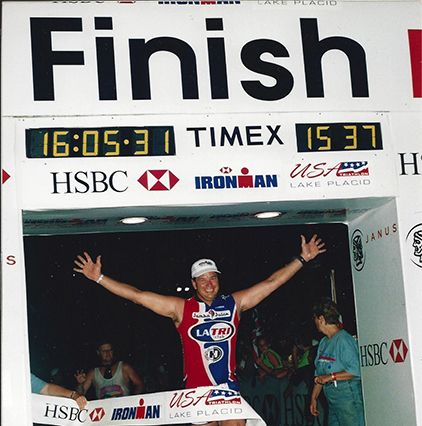 Edurance Sports: March 5th, 1995, Harry Redinger ran in his first City of Los Angeles Marathon, which led to completing a total of 54 Marathons, over 100 Century Bike Rides, and 3 Ironman Triathlons. Harry Redinger is passionate about health and the lessons learned when you challenge yourself to achieve health goals. The same mindset to achieve a Physical Health Goal can be used to achieve a Social Health Goals, Mental Health Goals, and Financial Health Goals. Harry Redinger has learned of the many connections between these four categories of health. Most may not realize that, for example, the first step to initiating a weight loss program may start with clearing all the clutter out of your house or getting your finances in order. Personal accomplishments are the most rewarding in life. Harry’s father was an Episcopal Priest who struggled with alcoholism and being obese most of his life, thus Harry Redinger’s familiarity with the struggles of the mind and health. At a young age, Harry vowed to never to let is life take the path of his father’s and thus his lifelong association with being an athlete. Harry completed his Bachelor’s of Science Degree in Industrial Technology at California State University Long Beach and his Master’s Degree in Business Administration at Pepperdine University. Master Craftsman: Since his childhood, Harry Redinger has been passionate about woodworking as his way to relax and distract his attention from his other categories of life. Harry has assembled a large shop full of high quality woodworking equipment and tools. 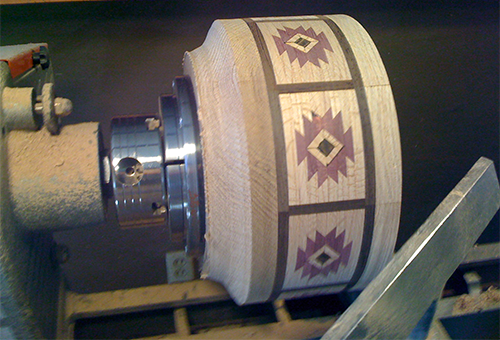 His main area of specialization is Segmented Wood Bowls and Vases, a process which requires much planning and patience in cutting and gluing multi-colored pieces of wood together to form wood rings which are then assembled and turned on a wood lathe. Operating table saws, wood planers, large sanding machines, and wood lathes is very dangerous work, which requires much focus and concentration. Because so much of what Harry provides others is creative and intellectual in nature, woodworking allows him to take much pride in creating something one can see, touch, and hold.